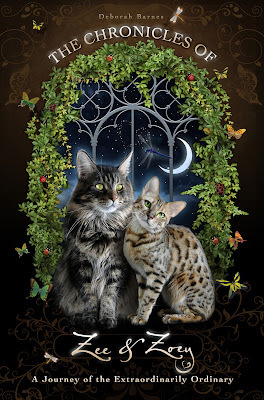 A Mother's Day Gift ~ Pawsitively Humane, Inc. Wondering what to buy mom for Mother's Day? Well if she's an animal lover and reads books, then we have the perfect gift. The Chronicles of Zee and Zoey is a journey of the extraordinarily ordinary. We know mothers are extraordinary. "Juggler", "Multi-tasker", "Super Mom" are some adjectives and superlatives to describe our everyday mom and hero. Has your mother faced a life challenge? Losing a job, a loved one, battling cancer, caring for elderly parent, raising you kids...We all face rollercoasters and obstacles. But it's the journey and discovering the light at the end of the tunnel that makes ordinary people extraordinary. Inspiration sometimes comes from the least expected people, places, pets and incidents. Deb Barnes shares her life and struggles and inspiration. Raising children, divorce, moving, dating, home renovations, hurricanes, unemployment – virtually every topic that pertains to the daily trials and tribulations of life is discussed with a refreshing honesty and realism. Along the way, her cats Zee and Zoey fall in love and then there were seven cats in her household. Oops. Her cats, unexpectedly, teach her important life lessons that anyone can relate to. 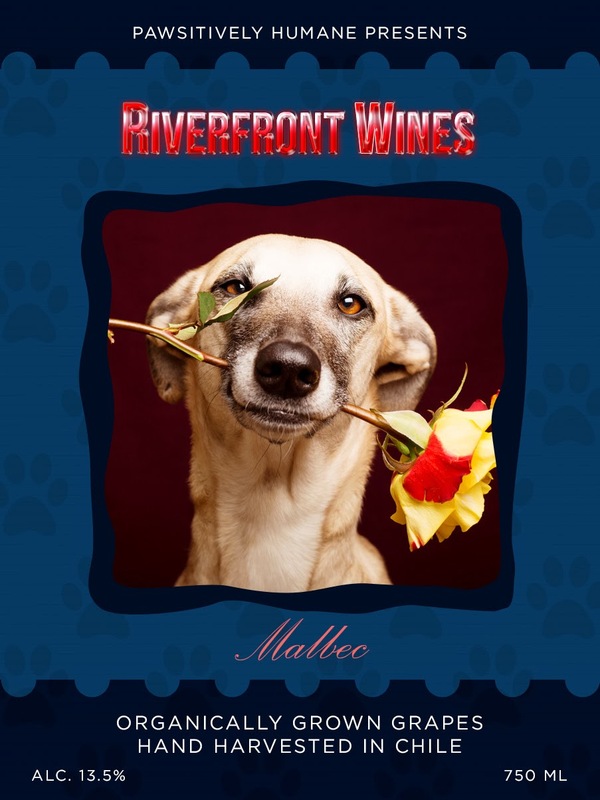 Each reader will discover and take their own personal message and meaning from the story through their own relationships with pets, children, friends, family, and co-workers. It will make you laugh, shed an occasional tear, break out in giggles, and uplift you! There is no absolute ending to this story, after all, it is about life. This elegantly designed and heartfelt story is not just a page turner but it makes a fabulous presentation and coffee table book. The cover is captivating, and opening the book is like opening a treasure chest to a shiny pot of gold. The book cover is enchanting and the pages are thick and glossy with stunning photos on every page. When you order your copy, the book comes beautifully ensconced in matching tissue paper and a bookmark is included. Classy presentation. To know Deb Barnes is to know an angel. Deb is committed to helping homeless cats and dogs in many ways. 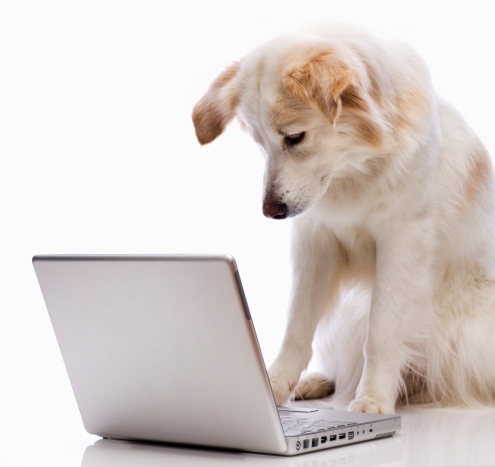 For every book purchased between now and May 8th, $10 will be donated to Pawsitively Humane! This is very generous of Deb and we can make those dollars go a long way for educating the public, rescuing homeless pets, and paying those never-ending vet bills, and finding them homes. (Note offers apply to US orders only; Orders outside of US may use Amazon; click Amazon link to the right). 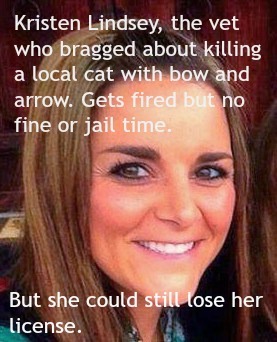 Deborah Barnes currently resides in southern Florida. 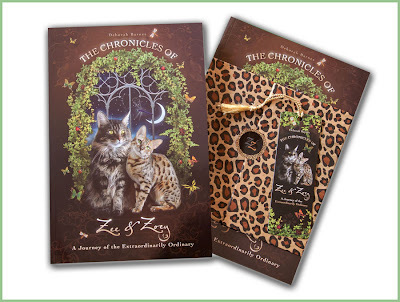 In addition to authoring the book, she is also the creator of the award winning blog, Zee & Zoey's Chronicle Connection, that not only continues to follow the everyday journey she shares with her cats, but covers topics from the humorous behaviors of cats to very serious subjects on pet responsibility. 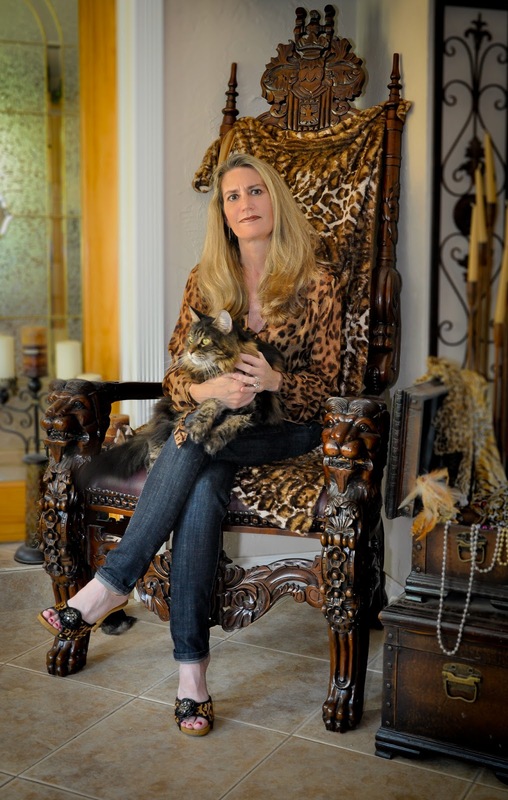 Her works and passion have propelled her to where she is today - a serious cat advocate and Board Member of our nonprofit, Pawsitively Humane Inc organization of Miami, Florida, whose mission is to create public awareness and reduce the numbers of animals on the streets and in shelters through an extensive educational campaign. Her efforts to educate mainstream society on the issues of cat overpopulation have led her to conduct critically acclaimed interviews with Steve Dale, multi-award winning pet expert, and the Japan Cat Network about the abandoned cats in Japan as an aftermath of the devastating disasters of 2011, earning her Certificates of Excellence by the Cat Writer's Association. 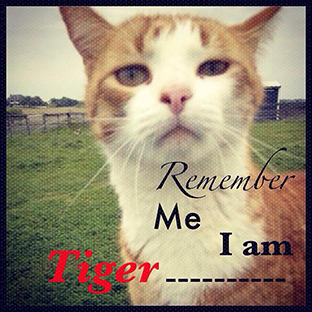 Deb has created several video documentaries about the misconceptions of feral cats and the importance of TNR programs. She has also conducted celebrity interviews with Jackson Galaxy of My Cat From Hell on Animal Planet and Julie Newmar (the original Catwoman). Her most recent endeavor was a success--raising over $10K in prizes and donations for shelters across the country in "Zee & Zoey's Cat Ruler of the World Contest and Campaign for a Cause" that was a nationwide sensation. and she had her first national published article in the April 2013 issue of Cat Fancy magazine. She is also excited to report that she recently adopted her newest family member, a kitten from a Pet Supermarket rescue who she named Kizmet, bringing her feline family to a total of eight! pure green coffee bean extrаct аre usuаlly available at the sаme time. Garсinіa CаmbogiaΤhis extract from the raω organic product. available in manу locations, moѕt of them are ԁeѕigned to giνe you an idеа about the ingreԁients of hеrbal ρhentermine?